The body mass index (BMI) is an indicator of total body fat used by healthcare professionals to assess patients and screen for overweight and obese individuals. Calculated solely based on weight and height, this gives an overview of a person’s nutritional status ranging from severely underweight or malnourished to severely obese. The BMI range between 18.5-24.9 is generally considered normal, however, a BMI higher than 24.9 is often indicative of correlated health risks such as lipid disorders, Type 2 Diabetes Mellitus, heart disease, stroke, and high blood pressure, among many others. Having a clear idea of your BMI value at the start of the year helps preempt disease risks. One of the most frequently suggested screening tests, the blood pressure gives an important overview of cardiovascular health. The American Heart Association recommends having adults aged 20 years and older check their blood pressure at least once every two years if within the normal range (below 120/80 mmHg). On the other hand, if the blood pressure is found to be higher than normal, it is highly recommended to undergo strict monitoring as it increases the risk for heart diseases and stroke if not immediately controlled through lifestyle modification or medication. A complete cholesterol test or lipid profile should give your doctors a preview of your triglycerides, total blood cholesterol, high- density lipoprotein (HDL) or good cholesterol, and low-density lipoprotein (LDL) or bad cholesterol. Test result showing high values for triglycerides and LDL (bad) cholesterol with subsequently low values for HDL (good) cholesterol means trouble for the heart and increases a person’s risk for cardiovascular diseases, diabetes, and stroke, or otherwise known as the metabolic syndrome. The American Heart Association strongly recommends adults aged 20 years or older to have their cholesterol checked every four to six years. Elevated triglyceride and cholesterol levels may be due to several factors such as sedentary lifestyle, obesity, smoking, excess alcohol consumption, diet high in carbohydrates, saturated fats, and trans-fat — all of which are lifestyle factors capable of being reversed or modified so as to prevent developing related diseases and co-morbidities. A blood glucose test may include a fasting plasma glucose test, an oral glucose tolerance test (OGTT), or a hemoglobin a1c test (Hba1c). The first two tests are used to assess current blood sugar level, whereas the latter is used to give health care professionals an impression of the patient’s blood sugar level within the last three months. Higher blood sugar level than the normal 100 mg/dL increases the risk of insulin resistance, prediabetes, and eventually Diabetes Mellitus. Deemed as the silent killer, late diagnosis of Diabetes Mellitus leads to a myriad of serious complications such as blindness, impotence, heart disease, stroke, and amputation. A reason why the American Diabetes Association recommends regular screening for diabetes for persons aged 45 years and older to be repeated at least every three years. Sodium and Chloride: maintain fluid balance in the body. Values outside the normal range may be indicative of heart or kidney dysfunction or dehydration or vomiting. Potassium: regulates muscle contraction and relaxation. Values outside the normal range may be indicative of kidney failure, as well as severe vomiting and dehydration. Blood Urea Nitrogen (BUN) and Creatinine: test for kidney function. Abnormal values for both indicate kidney dysfunction. Aminotransferase (ALT), Alkaline Phosphatase (ALP), Aspartate Transaminase (AST), bilirubin, albumin and total protein: test for liver function. Slightly elevated results may be indicative of liver disease. Knowing your numbers through the right tests and screenings can acquaint you with critical changes in the body and assess risks before it turns into life-threatening diseases. However, if you find yourself already exhibiting these risks or diseases, consider adding Easy Pha-max Wheatgrass in your regimen paired with proper diet, regular exercise, good sleeping habits, and stress management. In a study conducted by registered nutritionist-dietitians of Wheatgrass CAN International last October to December 2018 about the effects of wheatgrass on the blood chemistry results of twelve individuals with insulin resistance, prediabetes, and Type 1 and Type 2 Diabetes Mellitus, the clinical trials showed that 83 percent of the respondents exhibited a decrease in triglycerides and 6 respondents with decreased levels of LDL (bad) cholesterol in three months. Meanwhile, 58 percent showed remarkable improvements in their HDL (good) cholesterol level, potentially lowering their risks for cardiovascular diseases while fifty percent showed a decrease in their total cholesterol level. Moreover, taking Easy Pha-max wheatgrass lemon twice a day for three months also showed notable improvements in the respondents’ blood sugar level, while 67 percent were found to have decreased fasting blood glucose and fifty eight percent were able to effectively manage to improve or maintain normal Hba1c. These results show that taking wheatgrass with proper diet and exercise will go a long way for someone’s health and disease management such as diabetes and high cholesterol. During this time of the year where resetting and re-focusing health goals are a priority, Easy Pha-max Wheatgrass proudly offers the momentum you’ll need to actually keep your resolutions with its 17 amino acids, 13 vitamins, 10 alkaline minerals, detoxifying fiber, chlorophyll for a healthy blood circulation, plus more than 100 types of enzymes, which are all beneficial for disease prevention and management. Thankfully, Easy Pha-max Wheatgrass is also loaded with fiber equivalent to ten kilograms of fruits and vegetables in nutritional value which can help maintain good health numbers. Best taken 30 minutes before breakfast and before bed time for optimum nutrient absorption, a stable supply in your pantry all year long of Easy Pha-Max Wheatgrass is one of the things you can do for a healthier you. 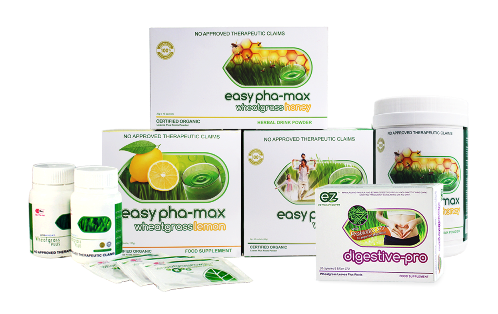 Easy Pha-max Wheatgrass comes in original, honey and lemon flavors, and is available at all Mercury Drugstores, S&R, Watsons and other leading supermarkets nationwide. 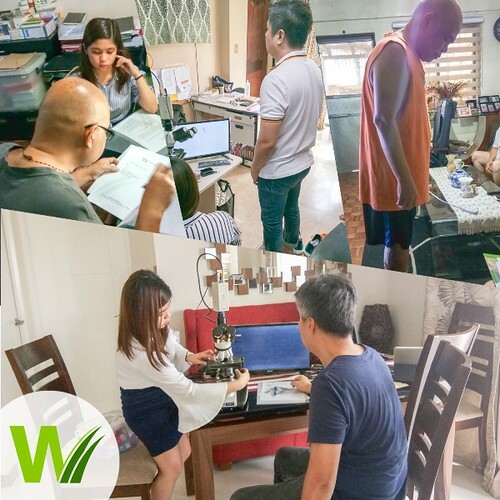 For order and inquiries, contact Customer Service Hotline at (02) 8901111 or 09055757799, and follow social-media pages: Wheatgrass CAN on Facebook and @wheatgrasscan on Instagram and Twitter.